The (Plymouth) Barracuda pre-dated the release of Ford's Mustang, but they don't call the sporty 2+2 genre the 'Flesh-eating-fish-car'...it's the Pony-car, probably because the Barracuda was not nearly as successful from a sales perspective. However, driving a classic Barracuda todays says you've got taste and didn't just hit the "easy" button when selecting your ride. Find this 1966 Plymouth Barracuda offered for $8,000 in Western MA via craigslist. 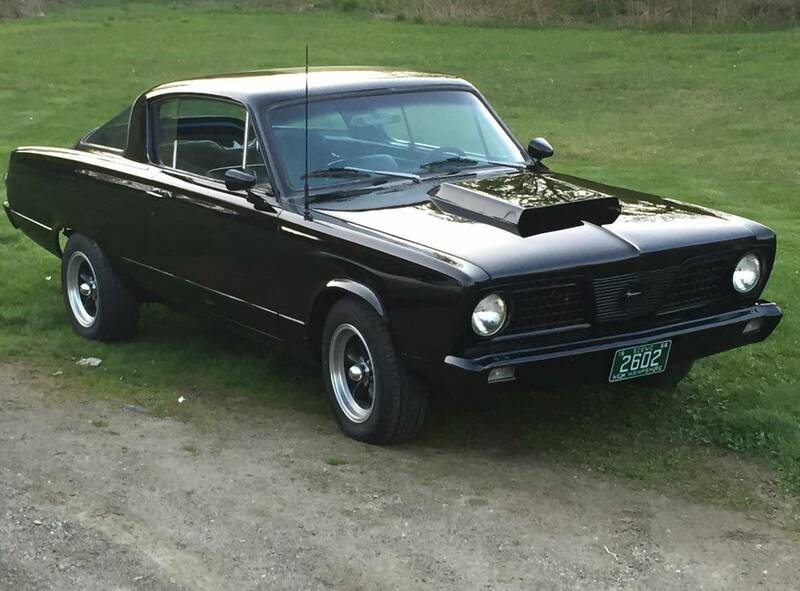 Tip from Jim H.
This Barracuda has been modified to be all business -- to the tune of $20k invested according to the seller. Oooooo--EEEEEEEEEEEE! There ain't no money better spent on your classic ride than that from the previous owner. 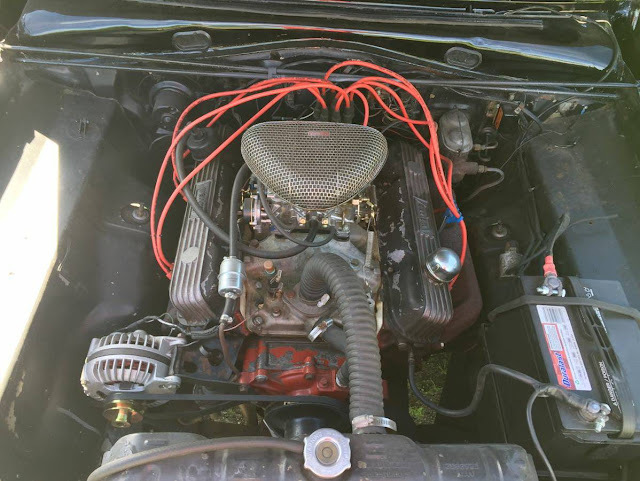 Under the hood is what appears to be a variant of Chrysler's LA-V8, a 273 cubic inch overhead-valve thing that pushes something in the range of 180 horsepower when stock/original....more money thrown into the engine = more power. OPM! The best kind of money! Rather have an OEM Barracuda since we're talking acronyms. When i first looked @ the Motor thought it had the correct Hipo black krinkle valve covers but the factory had no name on them. 273 Hipo came with a carter 4bbl chrome air cleaner and dual point dist.Great buy if body is good not rust other issues that back glass is hard to find and very pricey. I've always liked these. This seems like a decent price at first glance too. Very nice. The M/T valve covers are an improvement - the stock ones looked like somebody had bolted a pair of aluminum heat sinks to them. 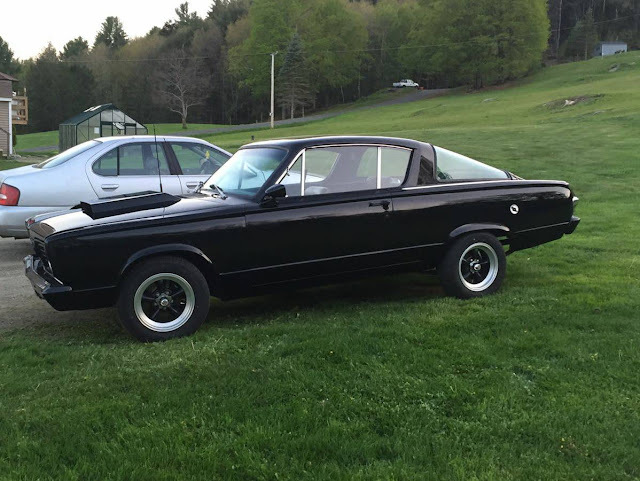 I have a '66 Dart myself, but it might be nice to have a closer to stock early A body. The urge to mod these can get out of hand.